This module has not been tested on non-Microsoft directory products, such as OpenLDAP. or silverstripe/saml for SilverStripe 4 compatibility. Security Assertion Markup Language (SAML) is an XML-based, open-standard data format for exchanging authentication and authorization data between parties. The single most important requirement that SAML addresses is web browser single sign-on (SSO). With this module, SilverStripe site is able to act as a SAML Service Provider (SP) entity, and thus allows users to perform a single sign-on against a centralised user directory (an Identity Provider - IdP). The intended counterparty for this module is the Active Directory Federation Services (ADFS). ADFS is a software component developed by Microsoft that can be installed on Windows Server operating systems to provide users with single sign-on access to systems and applications located across organizational boundaries. 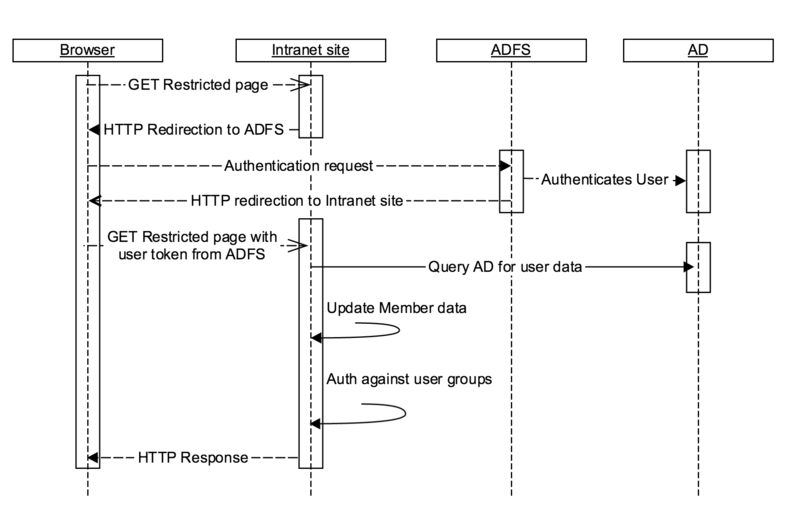 ADFS uses a claims-based access control authorization model to maintain application security and implement federated identity. We rely on this mechanism for authentication, and for automated synchronisation of some basic personal details into SilverStripe. If SAML authentication cannot be used, this module also provides an LDAP authenticator as an alternative. For secure communication over the internet during the SAML authentication process, users must communicate with SilverStripe and ADFS using HTTPS. Similarly, for AD authentication to be secure users must access the SilverStripe site using HTTPS. SilverStripe trusts ADFS responses based on pre-shared x509 certificates. These certificates are exchanged between the Identity Provider (ADFS) and the Service Provider (SilverStripe site) during the initial configuration phase. The changelog can be found at CHANGELOG.MD.